Due to a scheduled replacement of the Mason Street cable, which powers the Mason Cable Car line, the Powell/Mason Cable Car will be temporarily replaced by a free shuttle bus starting at 9 p.m. The shuttle bus will serve stops north of Washington. Transfer between the Powell/Hyde line and the Mason Shuttle Bus at Washington & Powell. In North Beach, the first stop is a temporary stop at Taylor & Francisco. Cable Car service on Mason will return to normal the next day. 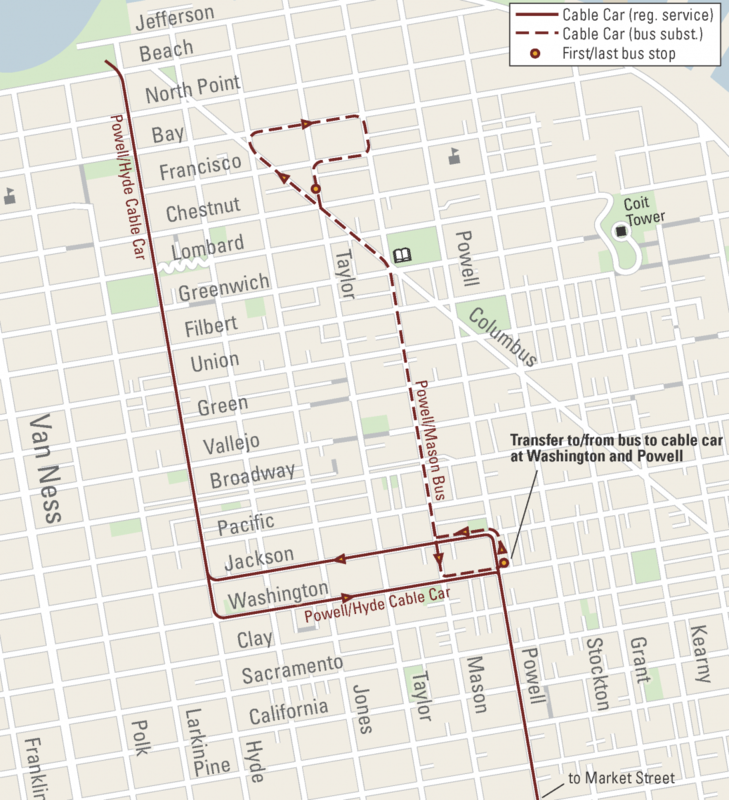 Though the Mason Shuttle Bus is free, regular Cable Car fares apply to the Powell/Hyde line.